Stream anime episodes online for free, Watch One piece Episode 151 English version online and free episodes. Anime Episode guide One piece Episode 151 English dubbed 100 Million Man! World’s Greatest Power and Pirate Black Beard! Luffy takes out Bellamy with a single punch. Meanwhile, the world government heads are concerned over Whitebeard, Shanks, and Luffy. 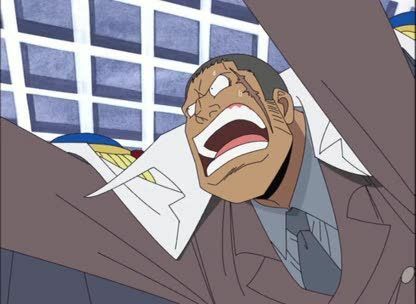 The marines try to decide who will replace Crocodile as a Shichibukai – one of Black Beard’s crew shows up uninvited and nominates his captain.